Avene D-Pigment Light Cream is skin lightening cream composed of water avene thermal spring water, triethylhexanoin, cyclomethicone, cetearyl alcohol, ceteareth, polymethyl methacrylate, caprylic/capric triglyceride, ammonium acryloyl dimethyltaurate copolymer, benzoic acid, Disodium EDTA, oenothera biennis evening primose oil, phenoxyethanol, phenylethyl resorcinol, retinal, silica, sodium hydroxide, tocopherol, and tocopheryl glucoside. Avene D-Pigment Light Cream is mainly formulated for preventing hyperpigmentation of the skin, the cream has a fine texture so it is easily absorbed. The cream keeps the skin radiating and maintains the glow. The depigmentation agents such as melandye downregulate the synthesis of melanin. Skin renewal is carried by the complex of vitamin A called retinaldehyde. Vitamin E and its derivatives are responsible for protecting the skin as they pose a strong antioxidant activity. The water present in the cream soothens the skin and keeps it hydrated. They also protect the skin against inflammation and maintain the tone of the skin. It is used for hyper pigmented skin with dark spots. It is also useful for acne and dark complexion skin. 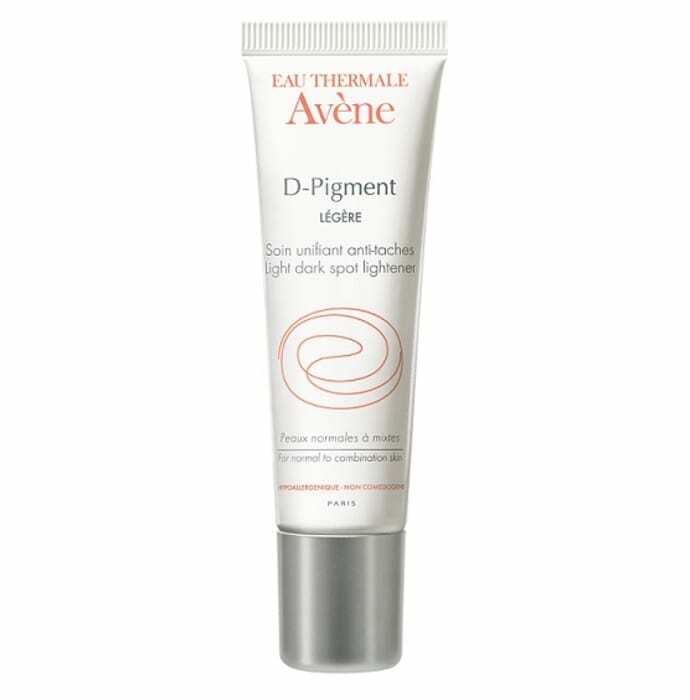 A licensed pharmacy from your nearest location will deliver Avene D Pigment Light Dark Spot Lightener. Once the pharmacy accepts your order, the details of the pharmacy will be shared with you. Acceptance of your order is based on the validity of your prescription and the availability of this medicine.